Joe Farrow in Norfolk has written to tell us about a half-decker that one of his friends is currently working on. It’s been a while since we last had a Norfolk Broads post, so this was a nice surprise! ‘As promised, I have rooted out a few details for a honey of a half-decker that a friend of mine is lucky enough to own! ‘Jamesia II was built by Martham Ferry Boat Building & Development Company in 1953. Her sister ship “Jamesia” was identical, aside from the cuddy. ‘She was exhibited in 1954 at the British Industries Fair, London Section, which seems like a long way away for a little Norfolk lass! ‘Originally constructed of overall varnished mahogany on oak she is similar to the Twizzy Whiz class designed and built by Ernest Woods – see the pic below of one of these boats, Mandi. ‘My friend Mat Gravener nearly purchased her after just one sail around 15 years ago, after she had been in the hire fleet for many years. I think Mat was attracted by her shape, the configuration of the lifting keel and the capability to camp on-board with ease. From what I understand, he just thought ‘there was something about her’, which included how she looked, her sailing qualities and her history. ‘Time passed. 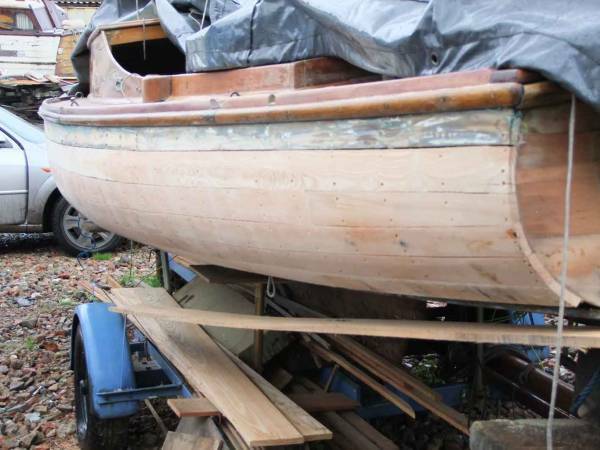 Five or so years ago he spotted her in a shed at Martham, with several planks and timbers cut out of the port quarter. To put in bluntly, she looked sorry and timeworn. ‘A little later she was on eBay and then rumour was that she had been taken to Lincoln for restoration. So no-one was more surprised than Mat when he became aware of her location in a barn, no more than three miles down the road from his house at Stalham! ‘He quickly bought her. Jamesia II is now again in safe hands. 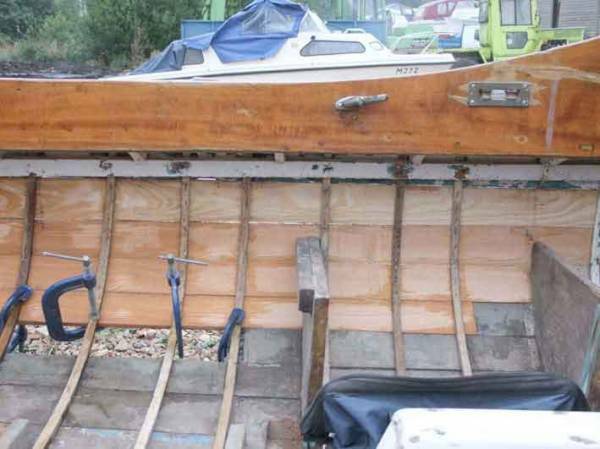 With careful chocking to replicate the original sheer and a batten or two, 12 green English oak timbers were left to soak in a boat dyke for a week and then steamed for 15 minutes prior to fitting. ‘Nine lengths of larch planking has been let in having been carefully shaped and hollowed. Fastening was by way of clenching on all but the beam shelf fastenings, which were roved. What a fabulous story! Thanks Joe – I’d love to see photos of her, and to see her sailing at some point not too far away. I’d like to add that it’s so often correspondents such as Joe that make intheboatshed.net worth doing – it’s certainly not the peanuts that come from the advertising. For more Norfolk-related posts, click here. PS – See the comments for a great story! I forgot to add, the Norfolk Broads, to this American who has visited the UK and lived there briefly, but never seen the Broads, seem an intriguing mystery brimming with history and possibility. Thanks to Mr Farrow for the write up on Jamesia II, she is indeed a fine little boat, and I'm finding her easier to work on compared to the other traditional Norfolk Broads Rivers Cruisers I've restored in the past. I've always had a fascination with the broads ever since my father hired a boat by the name of Hornet back in the early 1960s. 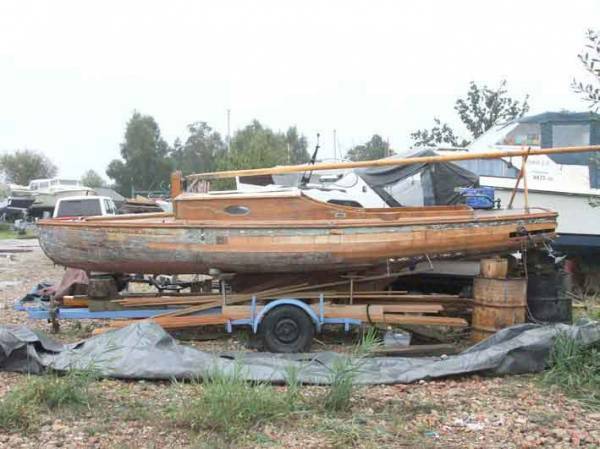 In 1992 I realised a dream and moved to Norfolk and this gave me the ideal opportunity to seek out many abandoned old yachts and return them back to their rightful place. Jamesia II is number eleven I've worked on and each time I say this will be the last, but I very much doubt it!! 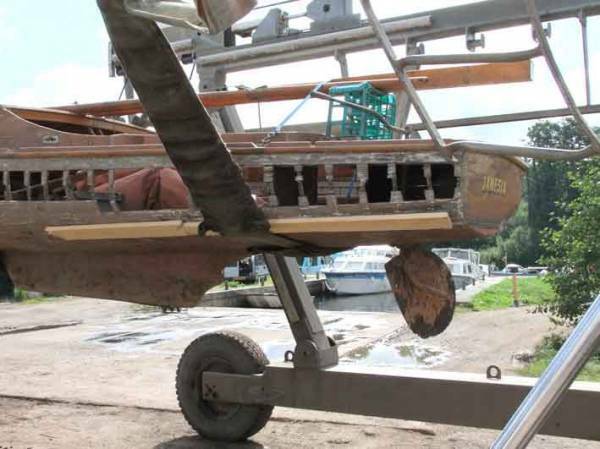 Have just stumbled upon the blog following the restoration of Jamesia II . My friend and I rented the boat on the broads when we were 15 and 16 we are now 63 so it was about 48 years ago. Would love a photo of her in full sail if you have one . We have many stories bout our trip they were great times. Very touched to read this. Mary and I taught our three children to sail on Jamesia 2 in the early 70s. She was a great boat to sail. We alkso camped on it for a week in 1975 – waking up one morning when moored at Martham to find our selves being towed to another mooring by workers on the yard who didn't realise we were ther (and still asleep!). Keep up the good work. We now live in Beccles so we will keep a look-out for her on the water when we are boat spotting on the northern rivers. 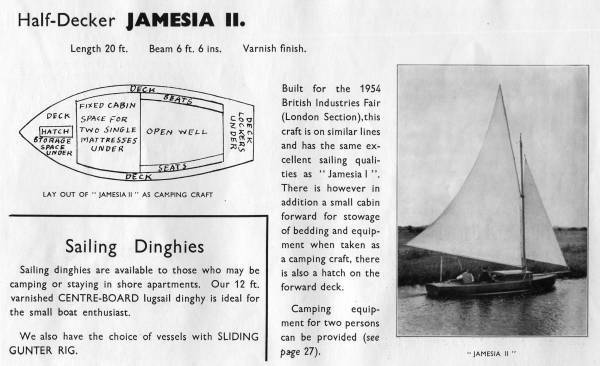 Just come across this – Jamesia 2 was the first boat I sailed on the Broads in the 1970s, we shot the bridge at Potter Heigham and the mast stuck, we just got it down in time to applause from people who thought we’d timed it to perfection! Back a couple of weeks ago on Zoe and there she was at Hickling. Lovely to see her in such good condition.